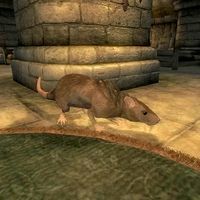 Schemer is a rat who resides in the Living Quarters of the Dark Brotherhood Sanctuary. He is counted as a member of the Brotherhood, so killing him while you are a member will get you expelled. It is not necessary to kill him during the Purification quest. Esta página foi modificada pela última vez à(s) 14h20min de 22 de dezembro de 2012.